August | 2010 | NICE! 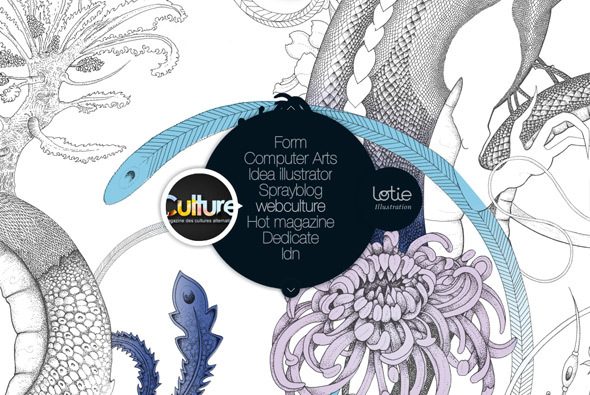 Portfolio of French Illustrator and artist Lotie. Featuring a large illustrated background which you navigate over to find sections of the site, from which you can explore his work. Nice way of showing the artwork and quite imaginative. 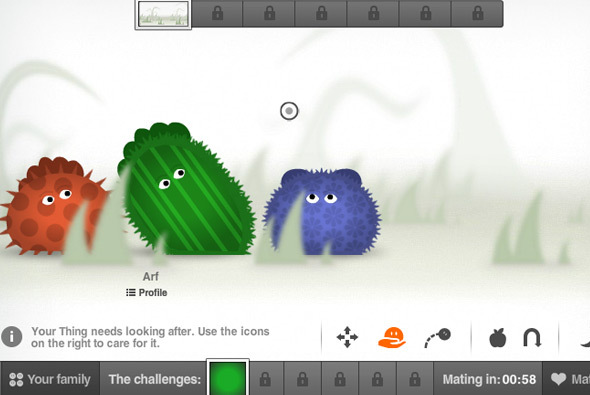 Beautifully made educational game for the Science Museum of London, to help teach people about genetics. You basically create a ‘thing’ and interactive with it by feeding, grooming, and mating with other ‘things’ to create new creatures – which inherit features from their parents. You have to complete challenges to unlock new features and levels. Amazing Flash work, incredibly detailed, great sound, and well polished, feels like a nintendo game – an awful lot of fun too! 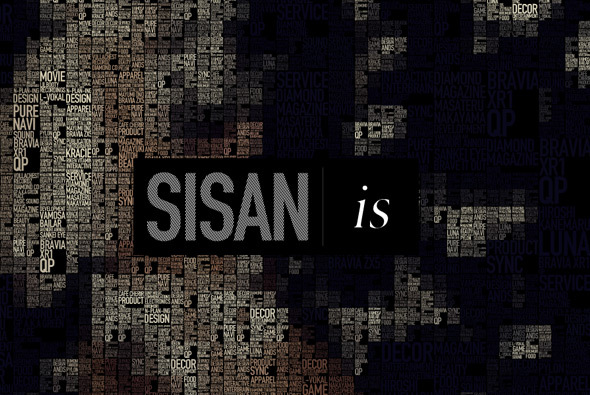 Portfolio of Japanese agency SISAN. Interesting tag based navigation, that turns images into respective tags which link through their whole portfolio and what they did for each project. Love the way the background image turns into tags and the way they link through to each project. A very unique and creative way of exploring their work. Very cool! 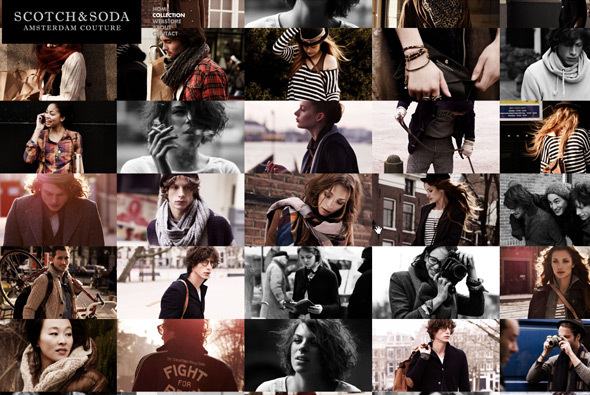 Site of Scotch & Soda, dutch clothing label. Smooth and simple site showing off their range, the homepage shows their main magazine style layout, with a nice bit of animation and interactivity. I like the collection section where we can explore an endless canvas of photos from their collection, nice way of exploring whats on offer. Simple, clean, and effective – love the homepage and collection section. 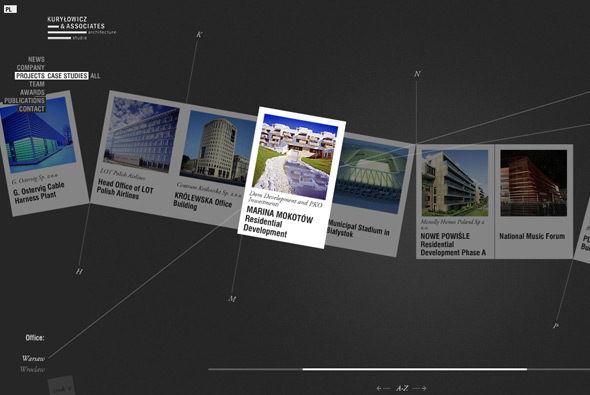 Portfolio of Polish architects Kurylowicz & Associates. Their case studies are arranged across the screen and each have tags with lines drawing from the tags to each project, all in all giving a detailed precise feel. The animations and transitions are smart & slick and the detail is very high, each project is tagged with the architects and loads of info. 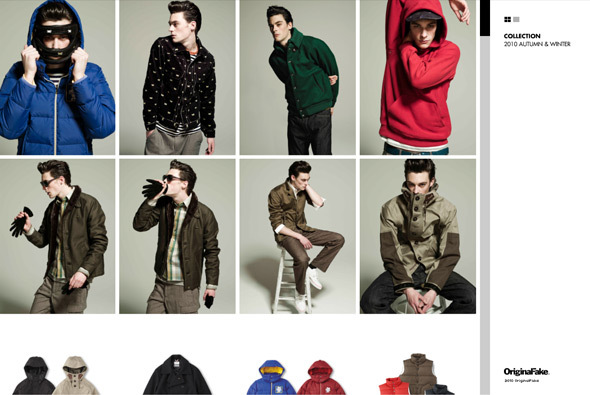 Really smart interface and design..
Nice little site for Japanese label Original Fake. Very slick and fast animation bringing to life a minimal interface. You can view the collection or look at the newest additions to the set, view by grid or by full screen. The zoom function is well implemented, and the fast smooth transitions are really nice.